Air barriers block random air movement through building cavities. As a result, they help prevent air leakage in your home, which can account for 30 percent or more of a home’s heating and cooling costs. Air barriers also help control moisture in a home. While they stop most air movement, air barriers also allow any water vapor that does enter to diffuse back out again. Many of the materials used in a house for structural purposes and finished surfaces also act as air barriers. For many homes, these materials include the drywall, sheathing, and decking that form the ceilings, walls, and floors. House wrap–as its name suggests–completely wraps a house to provide a barrier against air infiltration and resulting energy loss. Photo: DuPont. The most common air barrier material is house wrap. 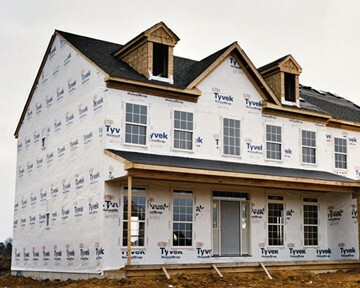 House wraps are usually wrapped around the exterior of a house during construction. Some wraps have better weathering or water-repelling abilities than others. All come in a variety of sizes for different purposes. Wraps usually consist of fibrous spun polyolefin plastic matted into sheets and rolled up for shipping. House wraps may also have other materials woven or bonded to them to help resist tearing. In wet climates, house wrap sometimes reacts poorly with certain kinds of wood siding. Lignin (a naturally occurring substance in many species of wood) is water soluble and acts as a detergent. Like all detergents, it decreases surface tension and destroys the house wrap’s ability to repel water. Research has shown that wood lignin makes it easier for liquid water to pass into the wall. 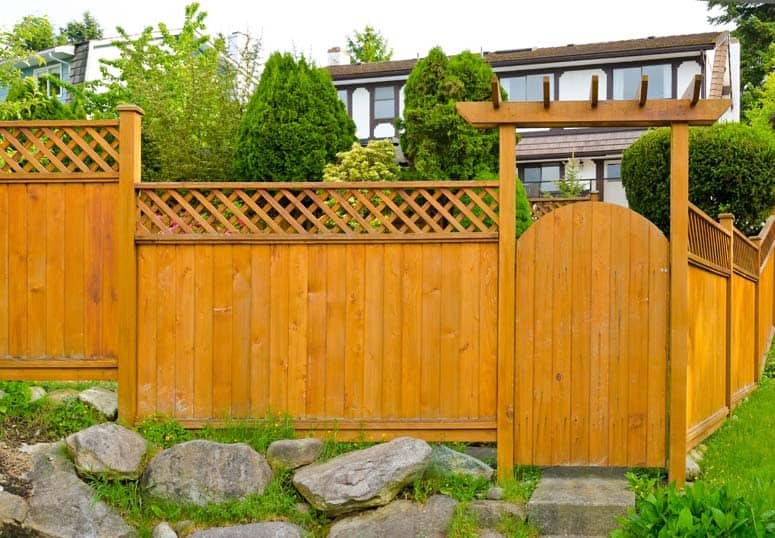 Certain types of wood siding, such as redwood, cedar, and manufactured hardboard siding, seem to accelerate the problem. To avoid this problem, carefully attach heavy building paper (30-pound asphalt impregnated) to the walls as a substitute for house wrap. 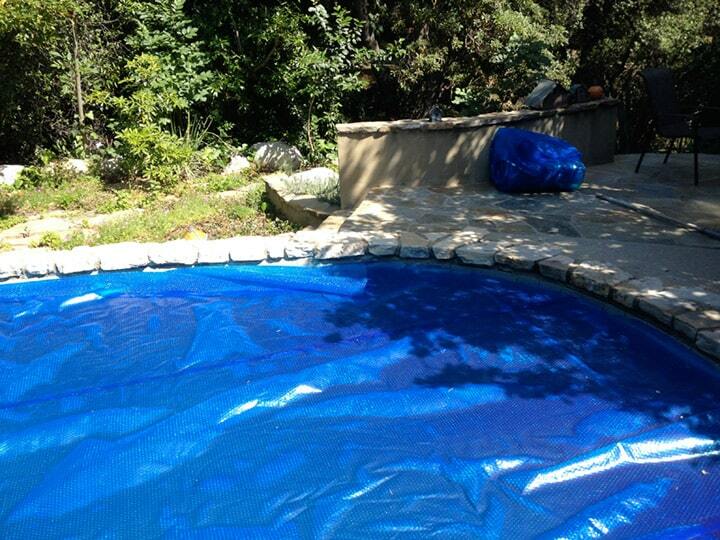 You also might consider installing felt paper over the house wrap as a water-repellent surface. Some types of insulation—such as foam board and dense-packed cellulose—can be effective at reducing air flow as well as heat flow. However, the most common type of insulation—fiberglass— does not stop air leakage. 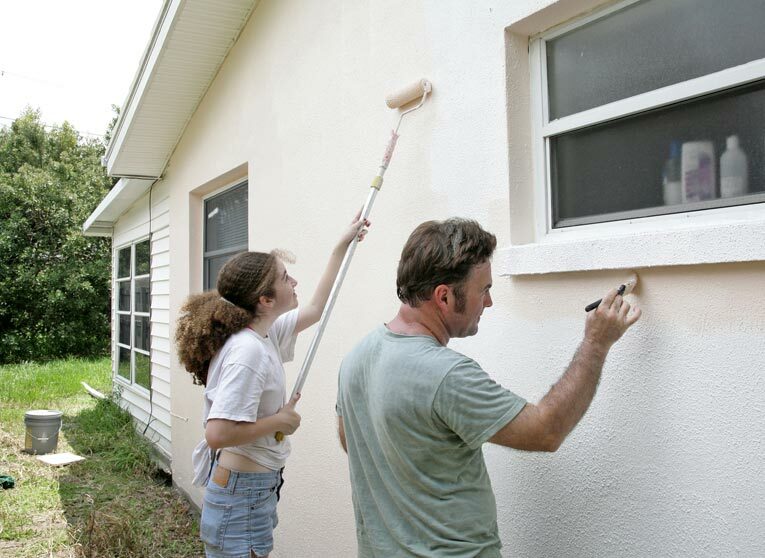 In older homes, dirty fiberglass insulation is a tell-tale sign of air movement (it collects dirt like a filter). The type of air barrier to choose when you build a house, and how to use it, depends mainly on the climate of the region. In a southern, humid climate, you might also consider using a combination air barrier/vapor diffusion retarder. To create a continuous air barrier throughout your home for maximum energy efficiency, you need to seal the holes and seams between sheet goods with durable caulk, gaskets, and/or foam sealants. If you use a house wrap, sealing all of its joints with “house wrap tape” is a good practice that improves the wrap’s performance about 20 percent. All house wrap manufacturers have a special tape for this purpose. 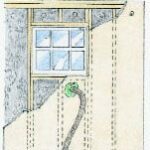 You also might consider using the Airtight Drywall Approach or Simple Caulk and Seal wall construction technique to create a continuous air barrier. An air barrier/vapor diffusion retarder attempts to combine water vapor diffusion and air movement control with one material. This type of material is most appropriate for southern climates where keeping humid outdoor air from entering the building cavities is critical during the cooling season. In many cases, air barriers/vapor diffusion retarders consist of one or more of the following materials: polyethylene plastic sheets, builder’s foil, foam board insulation, and other exterior sheathings. Air barriers/vapor diffusion retarders are generally placed around the perimeter of the building just under the exterior finish, or they may actually be the exterior finish. The key to making them work effectively is to seal all of the seams and penetrations carefully and permanently, including around windows, doors, electrical outlets, plumbing stacks, and vent fans. Missed gaps of any size not only increase energy use but also increase the risk of moisture damage to the house, especially during the cooling season. An air barrier/vapor diffusion retarder should also be carefully inspected after installation before other work covers it. If small holes are found, you can repair them with caulk or polyethylene or foil tape. Areas with larger holes or tears should be removed and replaced. 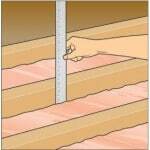 Patches should always be large enough to cover the damage and overlap any adjacent wood framing.